Guitar Bay is a mixed media by Chris Macri which was uploaded on January 15th, 2010. Guitar Bay is where all of our fallen guitar heroes "axes" end up. 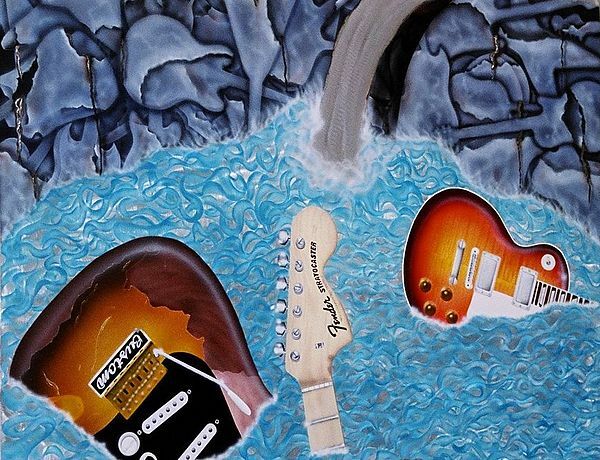 This pieces features a wall of petrified guitars and a waterfall flowing into a bay of recent arrivals. There are no comments for Guitar Bay. Click here to post the first comment.